Whatever project you choose, we are here to help. The Gernatt Family of Companies has 9 convenient locations to serve homeowners’ needs. You can pick up material yourself or we can deliver to you with our fleet of trucks and helpful drivers. Our qualified sales professionals are always willing to guide and assist you. Give them a call and see how they can help you with projects both big and small. 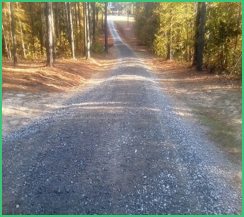 A gravel or stone driveway requires maintenance. Every few years they need refreshing. The most common products for restoring a clean driving surface are Crushed #1 Gravel and Minus 1 inch Crusher Run. Crushed #1s are clean, washed, (1/4” to 1/2”), and are good for topping an existing driveway that has gotten a little muddy. Minus 1 inch Crusher Run is a mix of various sizes of stone or gravel and crusher fines that help the mixture compact tightly when rolled or driven on. Really muddy situations may require larger sizes like Crushed #2 Gravel, (1/2” to 1”) or a mix of Crushed #1 and #2 Gravel. Planning to install a patio? We can help you select the right base materials and our concrete sand is ideal bedding for under the patio blocks. 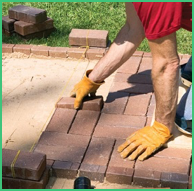 Our Gowanda location sells patio blocks and pavers. Are you looking to brighten up your yard and gardens? Try adding a garden or expanding an existing garden. A high-quality topsoil can make all the difference when it comes to your lawn and gardens. 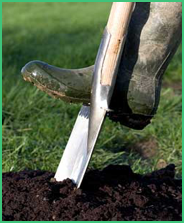 Our topsoil is finely screened to make it easy to work with and an excellent growth medium. Screened topsoil is available all year long and is stored inside. We also offer a variety of gabion gravel, chimney stone and boulders. The boulders are sold according to size classification. The most popular size range is 8 to 18 inch, but 2, 3 and even 4 foot boulders are available for your landscaping needs. Looking to install an above-ground pool? Our mason sand is the ideal choice for bedding underneath the liner of the pool. 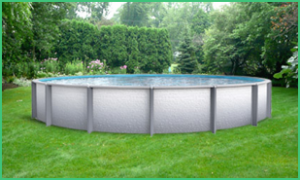 Call us with your pool measurements so that we can calculate how much you need and the delivered cost. We also offer crushed stone in #1A, #1, and #2 sizes. Crushed Brick (when available) in #1A, #1 and #2 sizes. White Ornamental Aggregate (when available) in #1A, #1 and #2 sizes. Sidewalk mix is #1 gravel and sand mix used for mixing concrete for sidewalks, floors, etc.